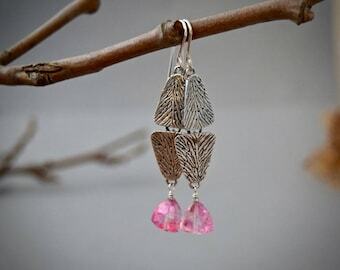 * Beautiful and organically shaped Tree of Heaven seedpod inspired dangle earrings, in sterling silver. 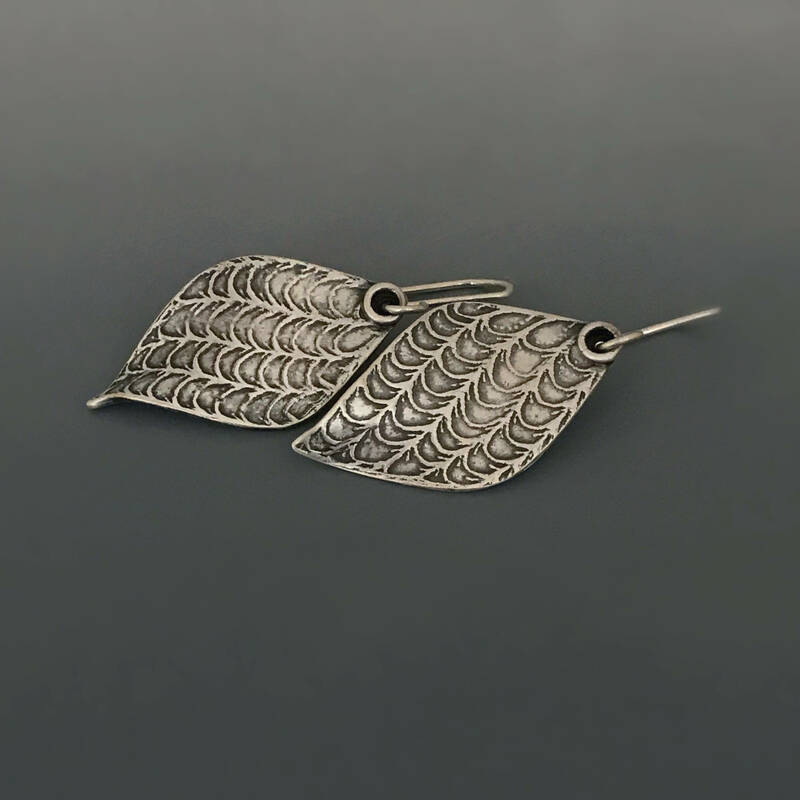 The shape and form of this earring was inspired by the seed pods of a tree called Tree of Heaven. They are really beautiful with twisted clusters of winged design. The last image shows the tree of heaven seedpods for you to appreciate their beautiful form. These are totally flattering and comfortable to wear! These will definitely draw compliments in their wake! * Sinuous form and distinctive design lend these earrings an alluring organic quality. A beautiful confluence of casual cool and elegant form. 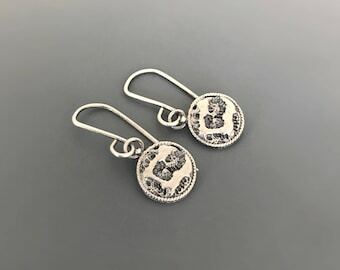 These hang at around 1.6 inch (4.2cm). 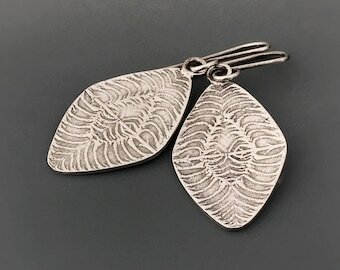 * Available in both bright and lightly oxidized silver. The third image shows how it looks in bright silver. Please specify while ordering. Thanks for visiting my shop! I hope you enjoyed while you were here . Thanks for sharing my awe and love for nature by supporting my work. If you have any questions, feel free to convo me.